Surf Gaston – Gaston County’s New Blog! Belmont, NC – New firm, Cardinal Law Partners, recently celebrated its opening with offices throughout the state in Belmont, Charlotte (by appointment only), Raleigh, and Greensboro. Partners Megan Callahan, Kristin Henriksen, John Landry, and Justin Wraight founded the firm in January of this year, and are joined by an experienced paralegal staff. What sets Cardinal Law Partners apart from other firms? All of its attorneys are board certified specialists in North Carolina Worker’s Compensation Law. Dedicated to the areas of Workers’ Compensation, Personal Injury and Social Security Disability, Cardinal Law Partners is a small firm whose clients get the best of both worlds: highly experienced attorneys with more manageable caseloads than larger firms, allowing its clients the absolute best service available. The attorneys at Cardinal Law Partners bring a combined 50 years of legal experience, licenses in both North and South Carolina, and membership in the Million Dollar Advocates Forum. To learn more or to request a consultation with a Cardinal Law Partners attorney, visit www.cardinallawpartners.com or call (833) 444-4CLP. Cardinal Law Partners represents clients in both North and South Carolina in the areas of Workers’ Compensation, Personal Injury and Social Security Disability. With over 50 years of collective legal experience, our attorneys are dedicated to creating an individualized plan for each client according to his or her needs. Cardinal Law Partners provides a free consultation to discuss your case in offices conveniently located throughout North Carolina in Raleigh, Greensboro, Charlotte (by appointment only) and Belmont. 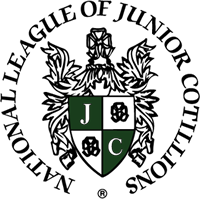 The National League of Junior Cotillions was established in 1989 and has been growing ever since. Our program is full of directors nationwide that believe in teaching children courtesy and character in order to build confidence and self-assurance within them at a young age. Introducing these characteristics at a young age will ensure that they become influential adults in their community. This program gives parents the opportunity to allow their school-aged children to learn various life skills in an encouraging environment with directors who desire to see them succeed. Are you looking to help children in your area develop the skills of a lifetime? You can become a director and establish a chapter in your community. Directors all across America are opening chapters in their own towns and teaching courtesy, character, social dance, mannerly conduct, etiquette, and more. Every director receives personalized training and is given the necessary materials to make sure that the National League of Junior Cotillions is an outstanding success in their chapter. Several times each year, the National League of Junior Cotillions hosts training sessions for new and potential directors. Director training includes a comprehensive overview of the program and curriculum. As you have the opportunity to meet and learn from our corporate staff members, you will be given an overview of what it looks like to be a franchise owner with the National League of Junior Cotillions. Following training, potential directors are given the opportunity to join and will then begin the formal process to acquire or purchase a territory and establish a program. Current directors often explain how wonderful the program is and how it aligns with their love and desire for teaching children and helping instill characteristics that will help them grow and be successful. If you believe that this program needs to be presented in your community, you owe it to yourself to attend the next training session for new directors. It is a great experience and you can decide if being a cotillion director is right for you. There is also no advanced financial obligation, the license fee for your exclusive program comes from student registration. If you are looking for a wonderful and rewarding career that will benefit yourself and your community, being a director of the National League of Junior Cotillions is the perfect job. To register for the next training session or to learn more about becoming a director, call us at 1-800-633-7947. We look forward to speaking with you! 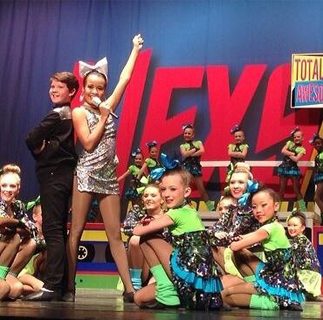 Dance Specialties – Premier Dance Studio for all ages! Dance Specialties is the premier dance instruction studio in Gaston County! For more than 40 years Dance Specialties has served the community by providing dance education. Superior training is the key to our success! We welcome dancers of all ages and abilities for both recreational and competitive goals. Our programs are designed to create long-lasting memories for both children and their families! Dance Specialties offers various types of dance instruction that range from old-fashioned to contemporary. Dances include tap, ballet, jazz, hip-hop, lyrical, and tumbling. Each dance offers recreational and competitive levels so it is up to you to choose what you’re interested in! Each child is recognized and given personal attention for their individual talents, no matter the level of skill. The studio is located in Belmont, North Carolina, a convenient location for locations all around Gaston County and Charlotte! With easy access from all major interstates, it is a no-brainer when choosing a studio based on location. Our dedication to the community is apparent in our history, and we proudly serve any family willing to get out and get dancing with us! 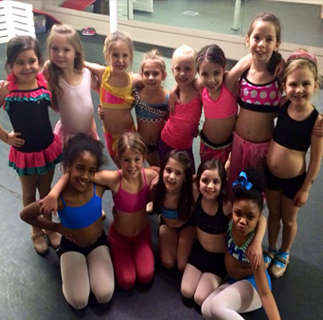 Starting at the age of 3, Dance Specialties welcomes newcomers any time! We have excellent preschool programs and will work with your child closely to teach the fundamentals of dance! Expert staff is assigned to our intimate class sizes so that your child will be able to have close instruction and develop a dancing family that will last! Each class offers an annual recital that will take place in the month of June, so find out more about this event and more if you want to see what are students are capable of! Dance Specialties prides itself in their competitive offerings for the more serious dancers. All types of dance have a competitive program that allows our dancers to show off what they’ve learned! Teams compete in four regional dance competitions and one national competition each year, so there is an opportunity to train and perfect routines between each competition! Dance Specialties is proud of the success that their dancers have exhibited in the past, and they are confident in new dancers as they are trained by the expert staff! Community activities are also taken advantage of by Dance Specialties. Local festivals and holiday events are a staple for Dance Specialties dancers! Our dancers often go onto higher levels on a collegiate and professional level, and we hope that you are willing to dedicate to becoming the best through our programs! The National League of Junior Cotillions is a team of directors that aim to teach children the proper character and courtesy. It is their mission to teach the young cotillions to act in love, treat others with honor, respect and dignity which in turn produces better relationships within their family and friendships. As a part of the National League of Junior Cotillions, they will also learn and practice ballroom dance. We believe that manners will always matter and as we train in mannerly conduct, confidence, social dance, and overall character, children will grow and develop the skills of a lifetime. Our team at the National League of Junior Cotillions is one of true passion and they will truly care for your child and help them become of one the most successful in their graduating class. The National League of Junior Cotillion started in 1979 by Anne Colvin Winters in Lincolnton, North Carolina. Anne Winters obtained a background in performing arts and she wanted nothing more than to teach etiquette to the children in her hometown. It was important to her that the children learned confidence, courtesy, and multiple other social skills needed for success. In 1981, Anne met Charles Anthony Winters and the two were married. Together, they established a thriving cotillion program. As their program continued to grow, she desired to combine social dancing, etiquette and life skills into one curriculum where children could come and feel comfortable and safe, while also being successful. This curriculum became the National League of Junior Cotillion that we know today. Over the next few years, Anne and Charles traveled the country in order to train directors to become a part of their program. Anne’s legacy lives on today through her son, Charles Winters II, who heads the organization. The team is now made up of over 100 passionate directors worldwide and 300 cotillion chapters in over 30 states. The National League of Junior Cotillions will forever be built on the foundation left by Anne Winter, one of courtesy, faith, and respect. The National League of Junior Cotillions has programs for children of all ages. The Pre-Cotillion Program is intended for children in first through fourth grade. 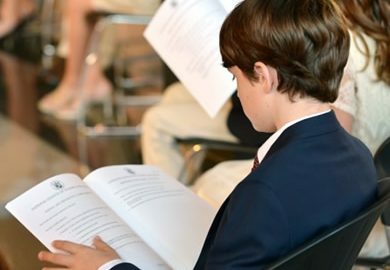 The Junior Cotillion program is designed for fifth through eighth graders. The High School Cotillion Program combines ninth through twelfth grade and teaches tasks such as paying bills, registering to vote, submitting tax forms and more. After high school, our programs include the National League of Junior Cotillions Debutante and Corporate Cotillion. The National League of Junior Cotillions is dedicated to helping children grow into a successful adult that obtains multiple life skills. To enroll your child, visit our website for more information. We love working with these bright, young adults and we look forward to meeting your child. Located in Gastonia, North Carolina, Dixie Glass Company provides professional glass jobs for a variety of household and commercial needs. They offer a variety of quality services including residential jobs, commercial jobs, store fronts, and 24-hour emergency services. Dixie Glass’ goal is to make you happy with the final product as well as the professional service. Dixie Glass Company offers a close collaboration with your business to get your glass work done. No matter how big the job is, Dixie Glass can help. In addition to this, Dixie Glass can work through contractors to deliver specialized services that fulfill your creative vision for your building. It is their goal to provide any service they can for the commercial market and do it the best way possible. Dixie Glass prides itself on having a spectrum of services under their belt that will fulfill any type of glass needs. Take a look now at their gallery to see the types of jobs they can provide. Dixie Glass Company works with a variety of vendors to get you the best glass possible. From hard work and experience, Dixie Glass knows what type of glass you need. They are standing by to give their expert advice on your service. As a great addition to their contracting, 24-hour emergency services guarantee swift repair when something goes wrong with your glass. If your glass shatters, cracks, or is damaged in some way, Dixie Glass Company has your back. Swift service and professional attitude is what makes Dixie Glass Company stand apart, and when you’re in need of glass, they have exactly what you need! I’m super stoked to announce the launch of the new official Jack Russell’s Great White website. Jack Russell is one of the hardest working guys in the world of rock-n-roll with decades of hits such as Once Bitten Twice Shy, Save your love, Rock me, Face the day and many others. Jack Russell’s Great White has a new song out called ”He saw it comin” that is as good as anything the band has ever released. Every song on this album is fantastic. Watch the video for ‘Sign of the times’ on the home page of the website… you’ll love it! Jack’s voice is as smooth as ever. I had the privilege of seeing them live earlier this year, both in an acoustic club setting, and on a large stage with the full band. They were phenomenal. The band is currently playing every weekend, all over the country, so be sure to visit http://jackrussellsgreatwhite.net/ for the latest tour dates. Founded in 1985, Stat Services has a history of exceptional services and masterful cleaning jobs. It’s founder, David K. Masters, started the business alongside his job as a police officer. Eventually the company caught the attention of many people, and David was able to devote his full attention to STAT Services. David is now the owner and operator of the company, and has made professional connections and relationships with businesses that continue to use STAT services to this day. David is committed to allowing his customers to have the best experience possible. He has always made it his priority to interacting directly with the customer if any problem arises. With STAT Services, there is no need to worry about a job not living up to your expectations, because David and his workers are there to handle any cleaning job. Office personnel should not be expected to clean their work space, because that’s what STAT Services does best. STAT offers basic cleaning, floor care, and also fabric cleaning. If there is a custom service that needs to be attended to, STAT will customize your experience so that you will be left completely satisfied. Any building maintenance will also be handled with a tailored design that will meet your expectations and schedule. Each building is studied and researched for your cleaning and maintenance needs. Traffic patterns, cleaning standards, tenant preferences, and more are taken into account when deciding on the plan of action for the building. The customer will always be matched with the right STAT Services workers for the job. Because of the training programs required at STAT Services, customers will always be paired with the appropriate workers based on their training level. Each worker is trained to represent STAT Services commitment to excellence. In addition to this, STAT offers 24 hour support staff, ready to assess any issue that you may have. Whatever the job, STAT Services is there to make your business look and run the best it can. Located on New Hope Road in Gastonia, the law office of Gray Layton Kersh offers an experience like no other. Offering attorneys with unmatched experience, Gray Layton Kersh makes sure that there is diversity in the areas of law their attorneys excel at. They are passionate about helping out a client no matter what their situation. Dedicated in moving quickly, Gray Layton Kersh makes sure that a client’s job is handled in a timely manner with the standard of excellence they strive for. The office has made it their mission to focus on personal attention so that the client feels that they are being treated with the utmost respect. Gray Layton Kersh employs a team concept, which takes from the expertise of each and every attorney so that efficiency and quality are at their highest. They make it their promise to not only fix problems that have happened, but prevent them before they occur. This concept is preventative law, which is a way Gray Layton Kersh anticipates problems. They do not want you waste your time and money, which is why they are there to help. Once attorneys are hired, their education does not stop there. Gray Layton Kersh believes that education is an ongoing process. Seminars and associations with institutions provide updated information and new insights into different situations. It does not matter whether your problems are corporate or personal, the law firm is devoted to handling your situation in the best way possible with their knowledgeable staff and hard-working attorneys. The areas of practice that Gray Layton Kersh deals with are an extensive list that makes this office the perfect place to look in any legal situation. Labor & Employment, Estate & Will disputes, Data Privacy, Traffic Law, Personal Injury, and Property Insurance Coverage disputes are just a few of the areas of expertise Gray Layton Kersh works with. There has never been a better time to contact Gray Layton Kersh. They are loyal in serving Gaston County, and they are there to help you! Since 1989, the National League of Junior Cotillions (NLJC) has been teaching children character and confidence to help them make an impact on their communities. Parents are given the opportunity to send their children to an environment that encourages courtesy, character, social dance, mannerly conduct, and more. The NLJC believe that courtesy and manners are timeless skills that children can carry with them into their old age. The NLJC promotes these successful skills because they want to give kids a lifetime of healthy relationships with friends, family, and associates. The Junior Cotillions began over 25 years ago in Lincolnton, North Carolina. It started when Anne Colvin Winters began teaching etiquette classes to children in the small town. She wanted to teach the skills that she believed were the key to success. Marrying Charles Winters just two years later, Anne decided to partner with her husband to make this organization continue to grow. Starting at humble beginnings, the two had their first class at an armory in Lincolnton where they had to rent everything themselves. With the success of the class, the organization started to grow. Anne had big ideas for the program, noticing that most cotillion programs were about dance, she wanted to reform the system to teach children life skills along with the principle of social dance. The National League of Junior Cotillions was born out of this principle, and the future of Anne and Charles included travelling nationwide to help other programs adopt these new principles. Anne grew and nurtured the organization. She wrote training manuals and spread her idea across the United States. Although she is no longer with us, her legacy lives on through her husband and the organization grows even to this day. There is now a team of over 100 directors nationwide operating 300 cotillion chapters in 30 states, which has allowed them to reach thousands of children and make an impact in communities everywhere. The National League of Junior Cotillions provides programs for children of all ages, from elementary school through high school. Starting in the Pre-Cotillion program, a child in Kindergarten through 4th grade learns how to be comfortable around others and be confident and polite in social interactions. In the Junior Cotillion program, children are given practice on etiquette and manners along with ballroom dancing instruction. The types of etiquette include telephone courtesy, conversation, dress code, sport etiquette, and much more. In the High School Cotillion program, young adults are given the opportunity to learn the skills required to be an adult. This includes principles such as paying bills, voting, submitting tax forms, and other financial responsibility. Along with this, the high school students are given instructions on job interviews and other important social interactions. No matter what age your child is, the NLJC is dedicated to making them a respectable and successful adult. Car Fare Inc., located on 1320 Bessemer City Road, is a family run car dealership with unmatched service and quality. Specializing in used cars, Car Fare is the perfect place to find the vehicle for you and your family. Dedicated to honesty and fair prices, Care Fare proves that they are and deserve to be the most trusted vehicle re-sale company in the Gaston County area. All of the vehicles on sale are put through a reliable inspection process that makes your purchase guaranteed to satisfy. Recently purchasing a Toyota from Car Fare, I can say firsthand that I could not be more pleased. Searching for a used car with good gas mileage, I spent hours fruitlessly browsing online for local deals. With my old car edging closer to 200,000 miles, new problems were arising every day that I could no longer ignore. I started searching for used car dealerships, and that’s when I found Care Fare. I visited and I could not have been happier with the excellent service and advice the employees gave me. They understood my situation and the amount of driving I needed to do, and they recommended the Toyota that is now in my garage. Their selection of cars is always growing, and the variety is unmatched. I looked at every car until deciding on the one that they had recommended. It was clear to me that Car Fare cared about my situation. They did not try to sell me the most expensive car or one they were trying to get rid of, rather they listened to what I needed and found the one that fit my lifestyle. Their recommendation fit my budget and my driving needs, mechanically and aesthetically. Car Fare provides an experience that allows the customer to feel at ease when purchasing a vehicle. They offer a specialized financing service that will fit the needs of any buyer. It does not matter whether you have good credit or bad credit (or even NO credit), Car Fare is there to make sure you get what you need. They have a wide selection of cars that you can view in person or on their website, each with low down payments anyone can afford. Each and every selection has been fully serviced with a new inspection, and is ready to drive as soon as you pull up. There is no reason to keep looking and settling, because Car Fare is there to help you.